A: This often-debated issue has no simple answer: It depends on the specific machine, the application, the operating conditions and environment, and other factors. 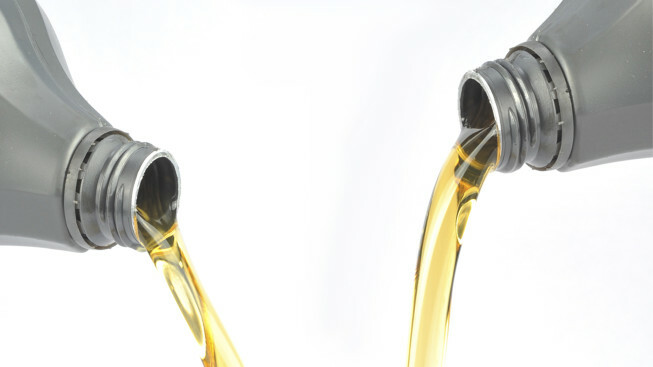 Mineral-oil-based lubricants can offer advantages such as better solubility with additives, enhanced compatibility with seals, and lower cost. Synthetic-based lubricants can offer benefits such as greater tolerance for extreme temperatures and environments that might be considered hostile for mineral-oil-based fluids. They tend to resist oxidation better, allowing for longer fluid life. With that in mind, suppose you have an application that experiences high operating temperatures. A synthetic-based formulation might offer longer service life, meaning fewer oil changes and less downtime. But what if the application is constantly exposed to substantial contamination from dust and debris? If the lubricant will need very frequent changes due to contamination, long before oxidation can take its toll, a mineral-oil-based formulation might make more sense economically. The bottom line: You should let the needs, demands and circumstances of your application drive your lubrication decision. Determine the performance specifications, characteristics and features that your application requires in a lubricant (e.g., viscosity, operating-temperature range, wear protection, and so on). Then, regardless of lubricant composition, select the product that best meets your application’s requirements. Isel offers one of the most diverse ranges of lubricants available, including mineral-oil-based fluids as well as full-synthetic, partial synthetic and semi-synthetic alternatives. Contact us today to learn more, and let us help you identify the right solution for your needs.